A packed audience watched the world premiere of Little Mao at the TIFF Kids International Film Festival this morning. 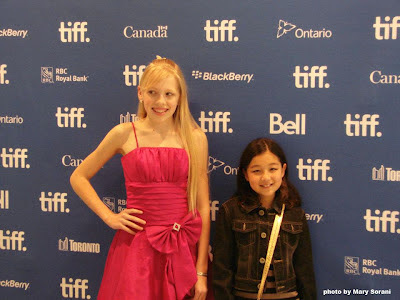 Stars Ariyena Sorani (Cindy) and Alysha Bauer (Jan) walked the red carpet and answered questions at the post-screening Q&A onstage with director/writer, Allan Tong. 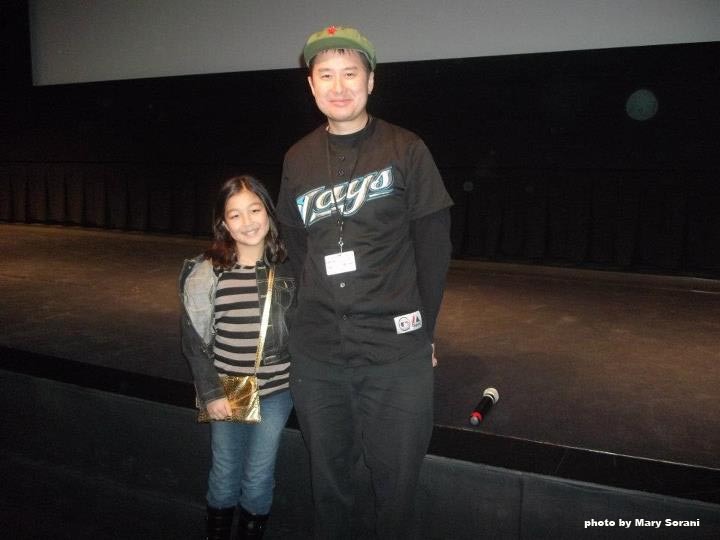 On-hand to support them were co-producer Austin Wong, and the proud families of Ariyena, Alysha and Allan. 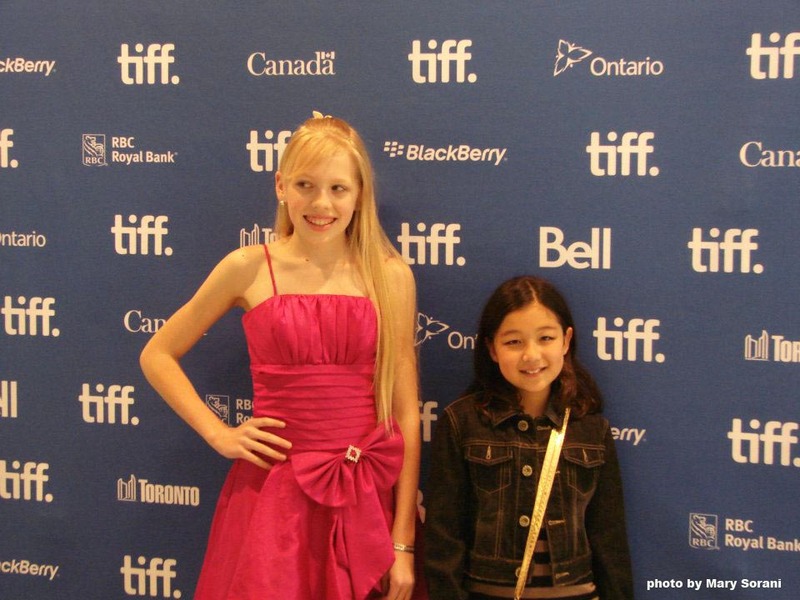 The film ran as part of the 10:15 am screening of the Canada Creates program of shorts at TIFF Kids (formerly Sprockets) taking place at the TIFF Bell Lightbox in downtown Toronto. This morning's screening was the first of four screenings at this festival.